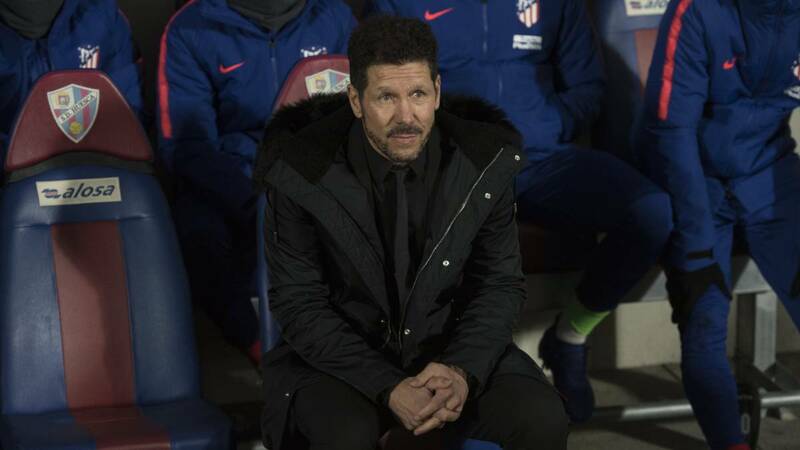 Home Soccer Simeone: "The 0-3 gives enthusiasm, enthusiasm and tranquility"
Simeone: "The 0-3 gives enthusiasm, enthusiasm and tranquility"
The Argentine coach appreciated the victory of Atlético in Huesca. "The team responded at a very regular level for ninety minutes." Repito that after the second half of Sevilla we have always competed very well, with always winning options ... We got three goals in Copa, something that does not happen, and against Huesca, the team responded at a very regular level for ninety minutes. That generates enthusiasm, excitement and tranquility at the same time. It is rare to see the two laterals mark. 2. Lucas is an important player for us, Arias grows, it is important the depth that gives us for that band, the central ones were a wall Rodrigo and Thomas every day understand each other better, Correa gave us depth, vertigo and Griezmann is the most important player we have offensively. ¿0-3 is the difference between Huesca and Atletico? El Huesca always lost by one goal, was very close in all games. I think we did a very serious meeting. The illusion of a goal generates the possibility of recovering energy and a goal against it hurts you. He always competed very well. I did not see the Huesca lower their arms and will be the way that will take them to try to save. We knew the difficulties we would go through a preparation that was not the usual. Outside the Cup allows us to recover people and be in the best conditions to continue competing.